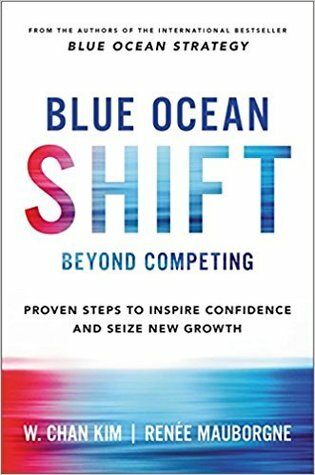 Thunder Bay Public Library (TBPL) is going through a Blue Ocean Shift (W. Chan Kim and Renee Mauborgne, 2017) to move out of the red ocean of competition and create a new blue ocean of uncontested market growth. The stand alone public library is dead. Long live the Community Hub. Partnership working is the way forward. Step one is to choose the right place to start. Public libraries have traditionally used market share (how many people belong to the library) as their lead performance indicator. The Pew Research Centre found that typically 46% of adults have used a public library in the past twelve months. But market share is a lagging indicator. We should be looking at what the library currently provides and determine whether TBPL is offering value innovation (Science North Nature Trading), value improvement (RFID self check) or value imitation (collections and programs). Step two is to understand where TBPL is now by identifying the key factors that the library competes on and who its main competitors are. By plotting these factors on a Strategy Canvas and comparing them with those of our competitors it is possible to determine whether TBPL’s strategic profile diverges from the average. It shouldn’t simply be a little more, or a little less, than what the competition does. It should be focused on the key factors that can offer current and potential patrons a leap in value. Step three is to imagine where TBPL could be by using a Patron Utility Map. This outlines the full range of experiences patrons have in using the library, and the major levers that can be pulled to provide greater utility. For example, at one time the library patron would look for an item in the catalogue, search for it on the shelves, and take it to a circulation desk to be checked out. These steps in the patron experience cycle can be improved by pulling some utility levers such as convenience, simplicity and customer productivity. RFID self check and online resources are good examples of this. Step four is to find how TBPL will get there by reconstructing market boundaries. TBPL will look beyond existing patrons (active users) and reach out to the three tiers of non customers: soon to be non patrons (lapsed users); refusing non patrons (passive users); and unexplored non patrons (non users). TBPL will develop alternative blue ocean opportunities by identifying the key factors which should be raised well above, or reduced well below, those of the competition. TBPL will also identify which factors are taken for granted and should be eliminated, and those factors that have never been offered and should be created. The final step is to select a blue ocean move and conduct market tests. At TBPL we call this blue ocean move the Community Hub and we have been testing the model by inviting a range of community partners to share library space. We have learned some valuable lessons from these experiences, and we have used these to inform our most ambitious value innovation to date. This is the partnership with Anishinabek Employment and Training Services (AETS), who will be operating out of Waverley Library in the near future. This partnership offers significant value innovation to existing and potential library patrons through synergy, performance, and investment. John Pateman — www.tbpl.ca. If you have a comment about today’s column, we would love to hear from you. Please comment below!